In tennis, sometimes you win, sometimes your opponent beats you and, other times, you beat yourself. Beating yourself happens when you lose control of your emotions or when you allow frustration to lead to rushing or even tanking. 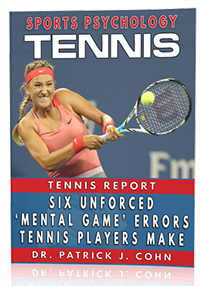 Many in the tennis world refer to this as a mental meltdown. Mental meltdowns and runaway emotions have negative consequences and pretty much guarantee a loss or bad reputation. Kyrgios’ resume of meltdowns is extensive. Kyrgios’ talent is unmistakable, but, due to all those meltdowns, Kyrgios has not been able to live up to potential. In his semi-final match at the 2017 Miami Open against Roger Federer, Kyrgios not only lost control of his emotions, he lost match he had a chance to win. As Kyrgios served at 5-4 in the deciding tie-break, needing only two points for victory, a rowdy fan yelled “out” as Kyrgios set up for a difficult forehand shot from behind the baseline. Kyrgios shanked the shot well wide and then the meltdown started. Kyrgios was furious as he started cursing at the fan and yelling at him to shut up. Most tennis players in that position, with a victory in near sight, would be angry, but Kyrgios seemed enraged. The biggest problem for Kyrgios was his runaway emotions causing him to dwell on a past point. Kyrgios could not calm down or regain his composure and focus. Kyrgios allowed his negative emotions to dictate how he finished the match. Kyrgios double-faulted on the next point, and then Federer secured the victory with an ace winning the match 7-6, 6-7, 7-6. As Federer celebrated, Kyrgios decimated his racket by pounding it on the court repeatedly. Kyrgios had a similar meltdown at the Australian Open where he was penalized a point for his second code violation (swearing and a racquet slam). Kyrgios must learn to control his emotions if he is to be successful as a tennis player. He admitted that finding a coach may help him manage his emotions more effectively in the heat of battle. 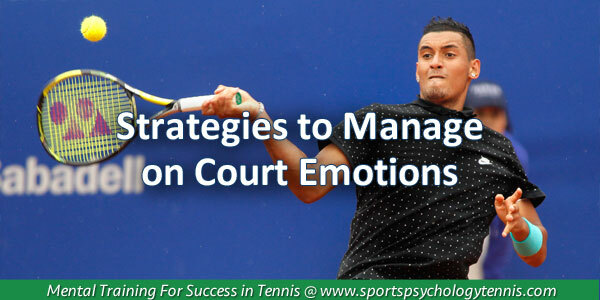 Since you can’t control what happens to you in a tennis match, you have to learn to control your emotions. With some practice, you can learn to let go of the last point or game and not allow negative emotions to change your game. Tell yourself that only the next point or game matters and get on with it without thinking about how unfair or unfortunate the last point or game was. 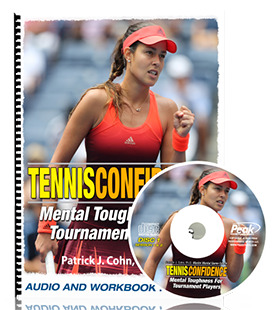 Get all my mental game strategies for winning tennis here. What are tennis players and sports parents saying?